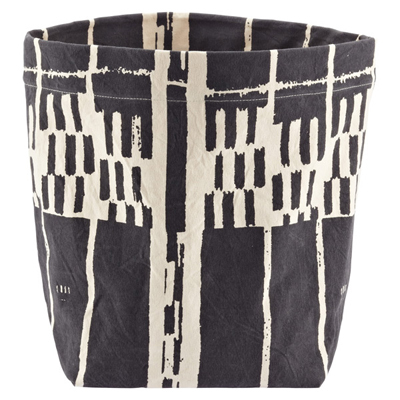 These artistic Reversible Canvas Bins are not only lovely to look at, they’re reversible, too! Fold the adjustable lip to change the height. Two plastic stays in the sides give it shape and form. $34.99. Buy here.